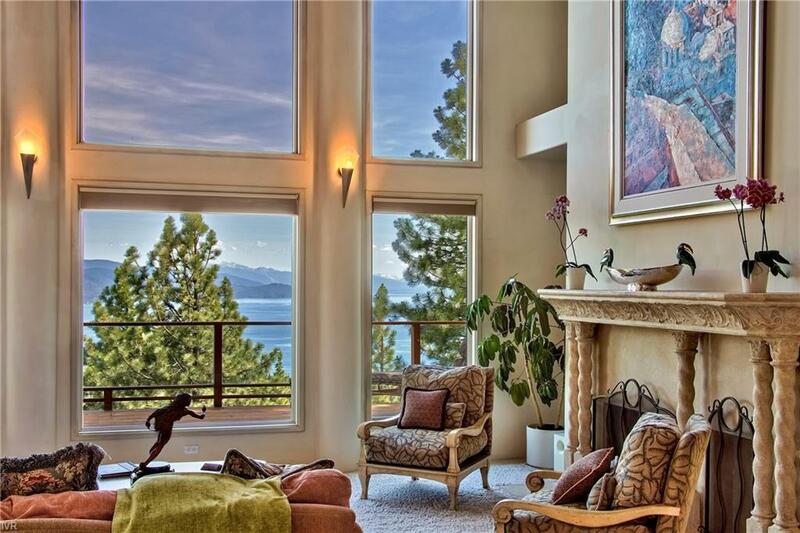 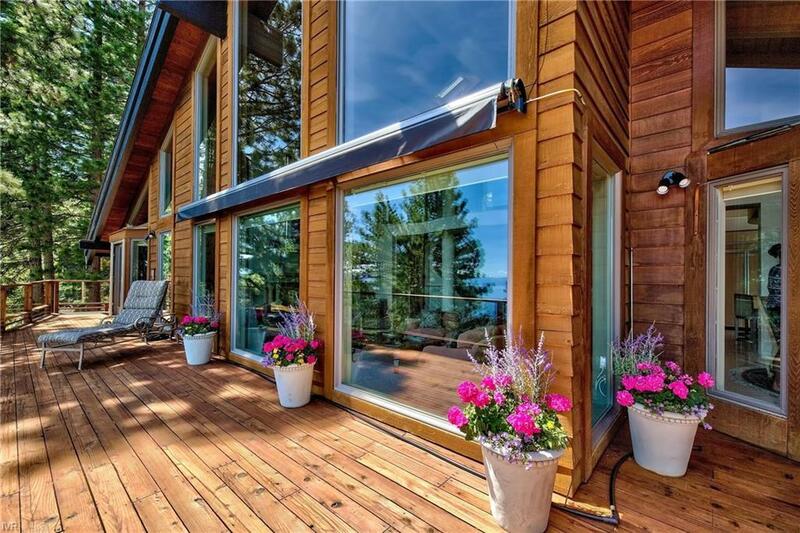 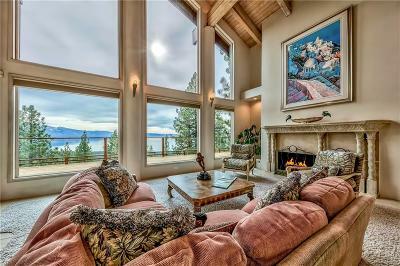 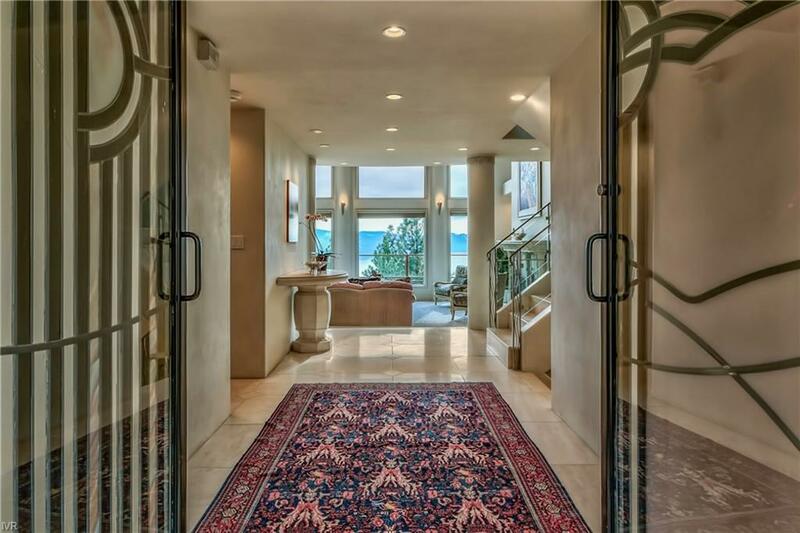 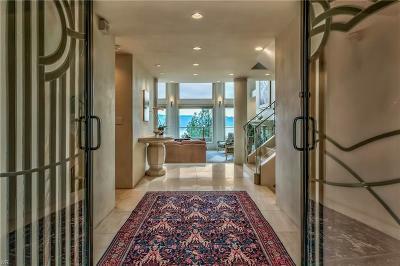 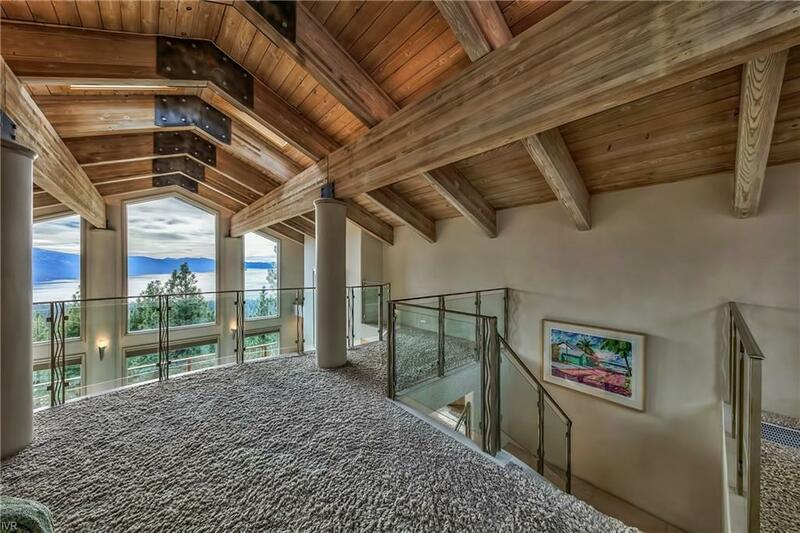 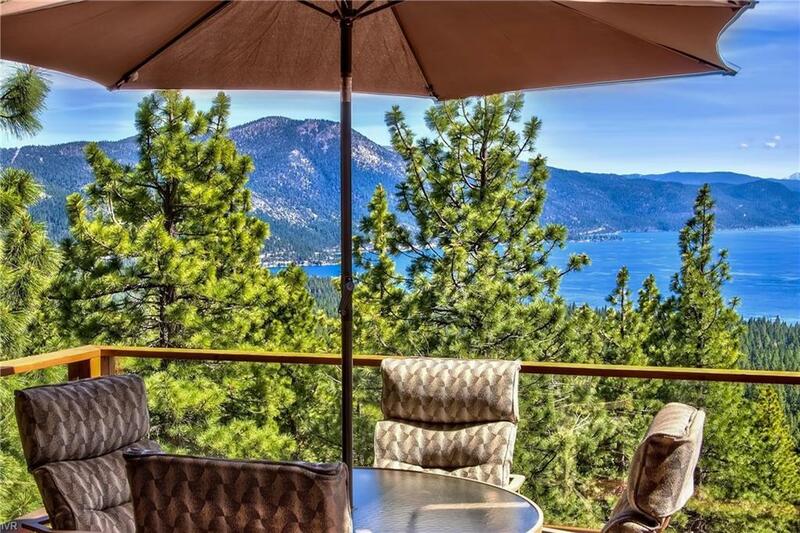 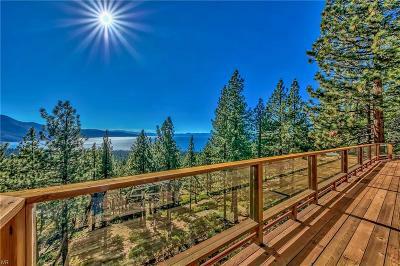 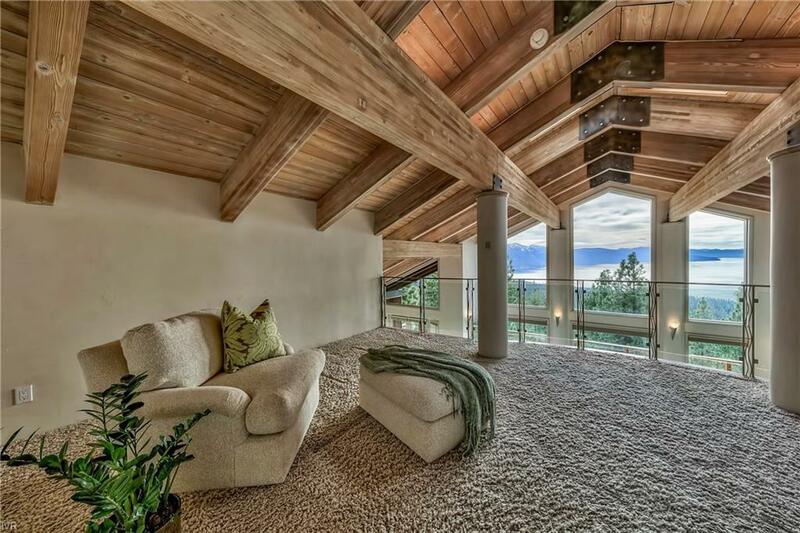 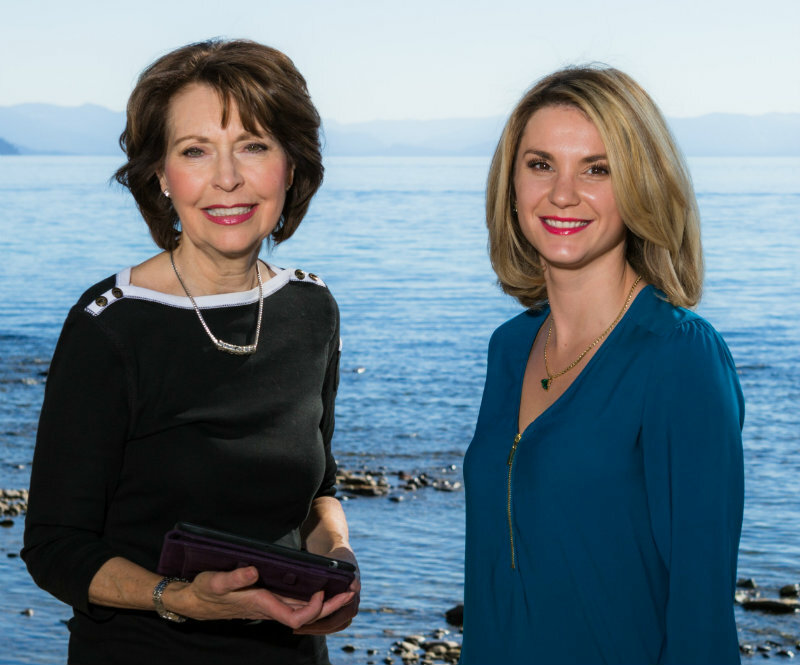 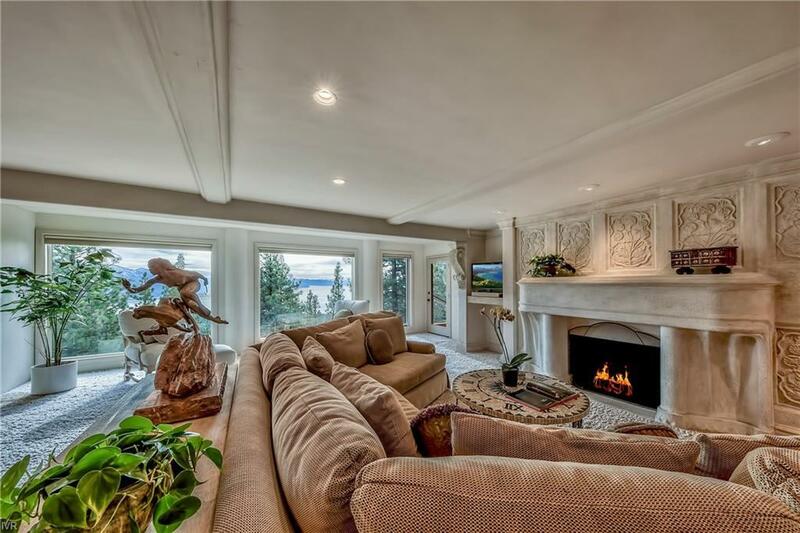 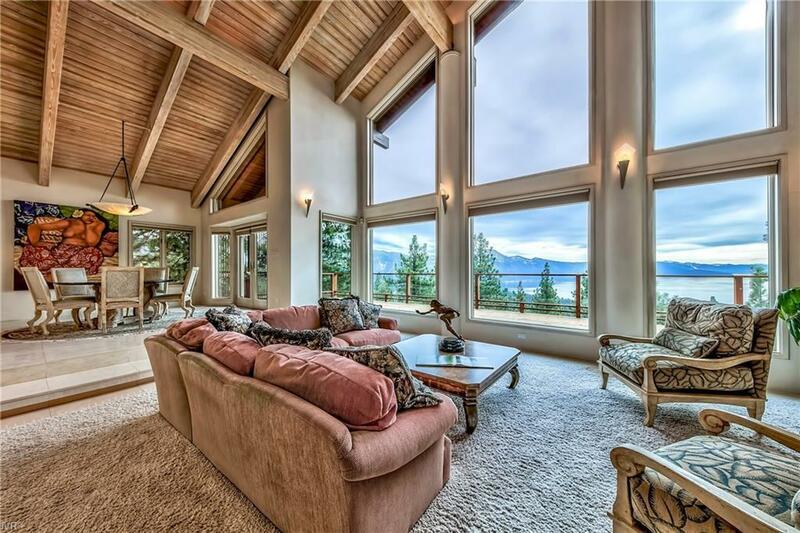 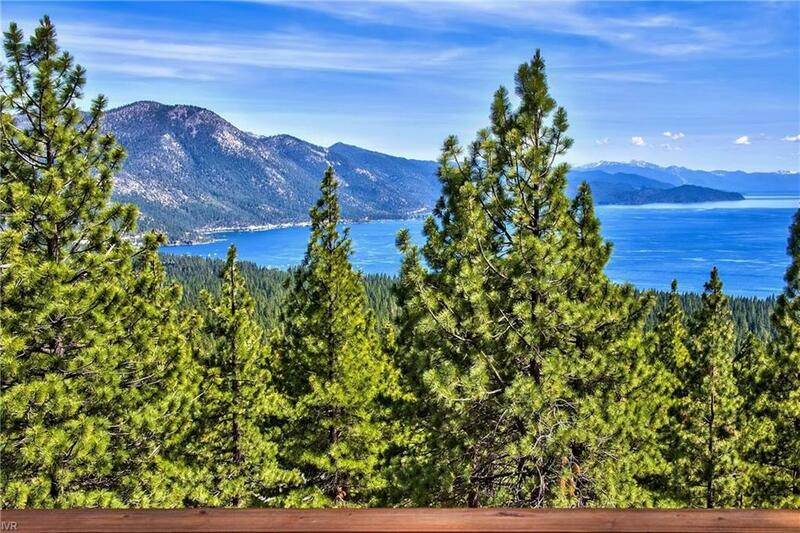 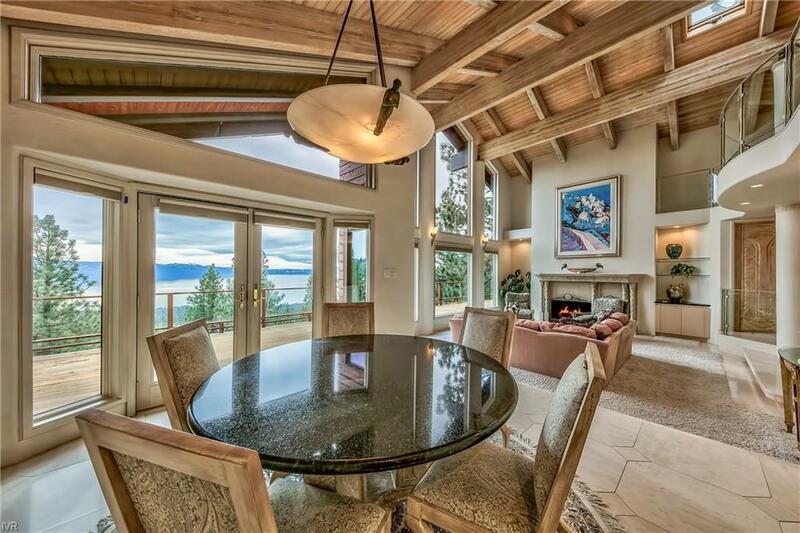 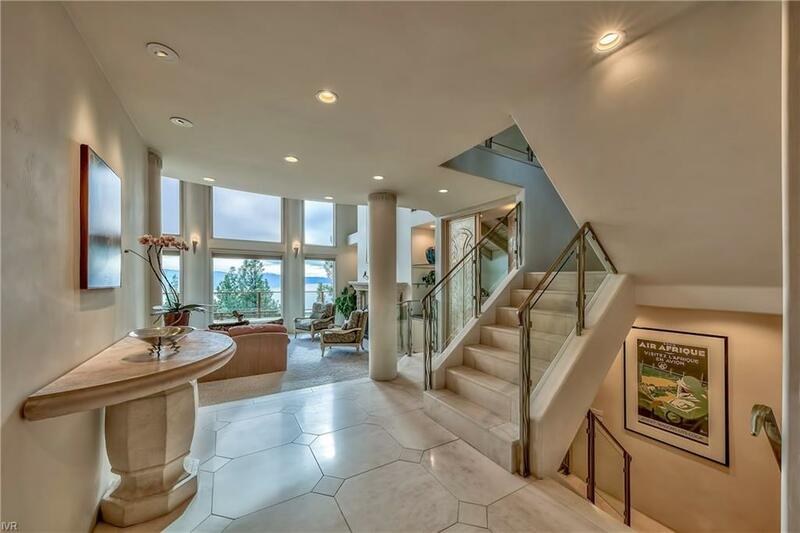 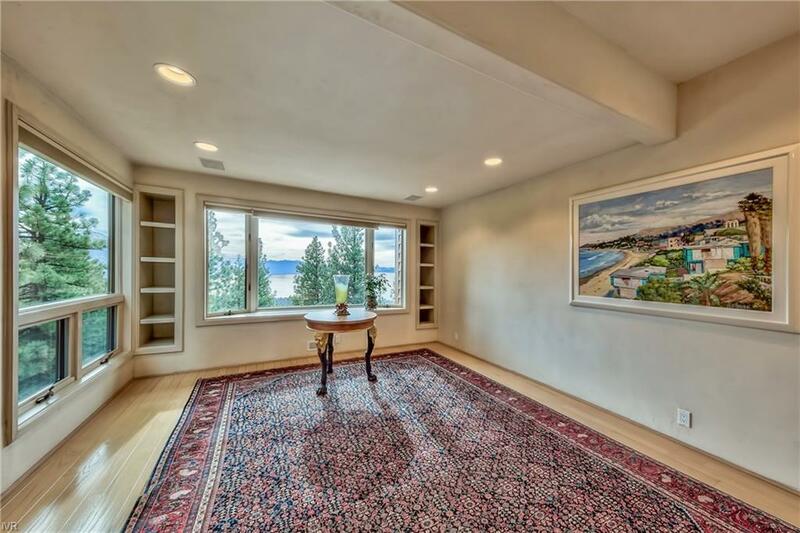 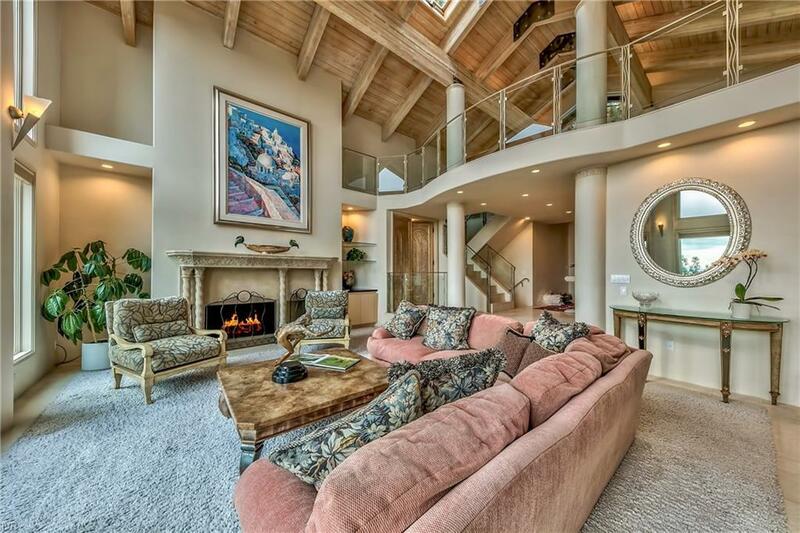 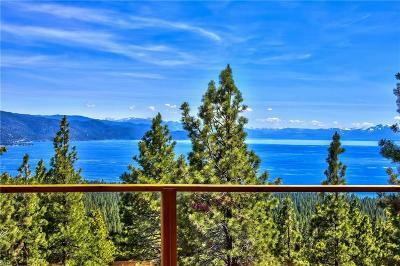 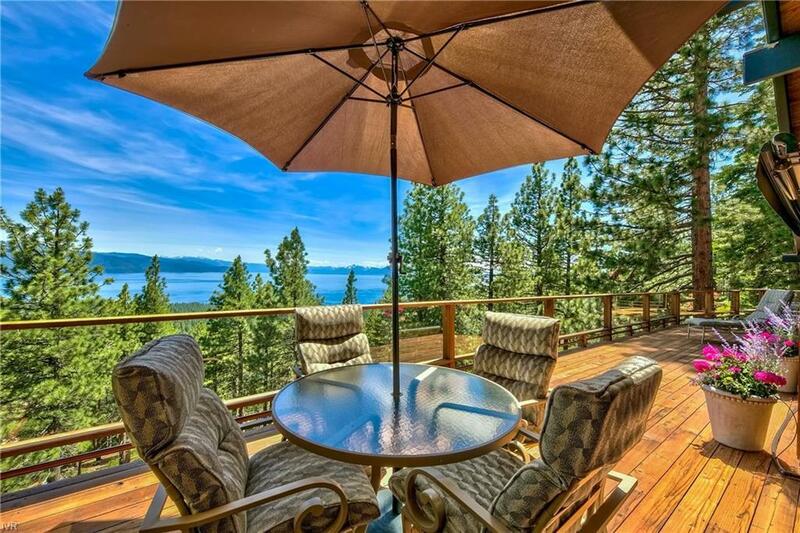 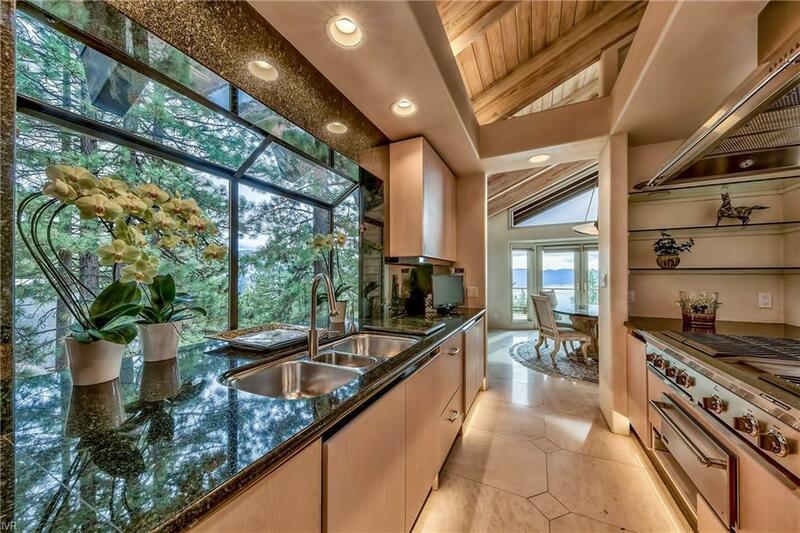 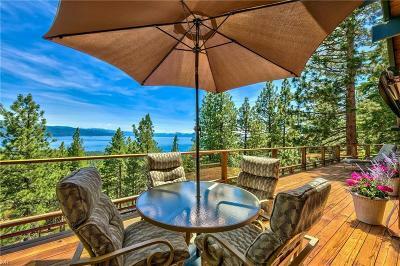 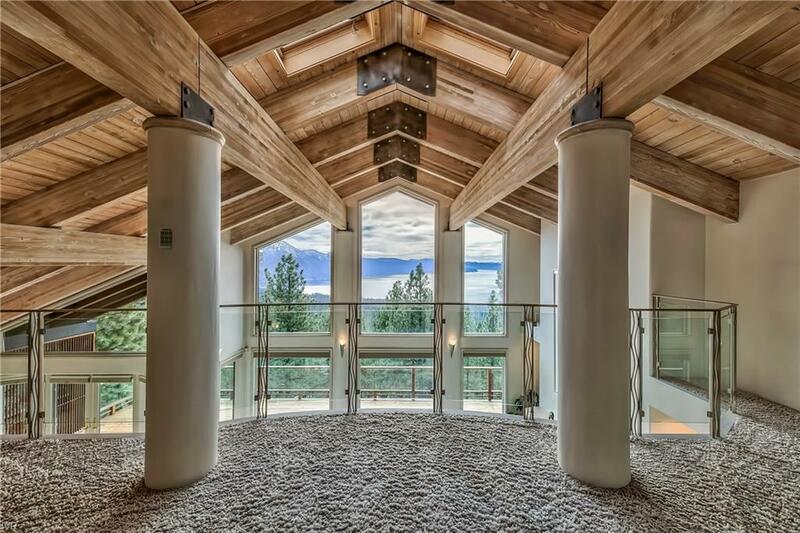 Entertainment tonight at PRIVATE, well built, and glamorous luxury home with PANORAMIC Lake Tahoe views. 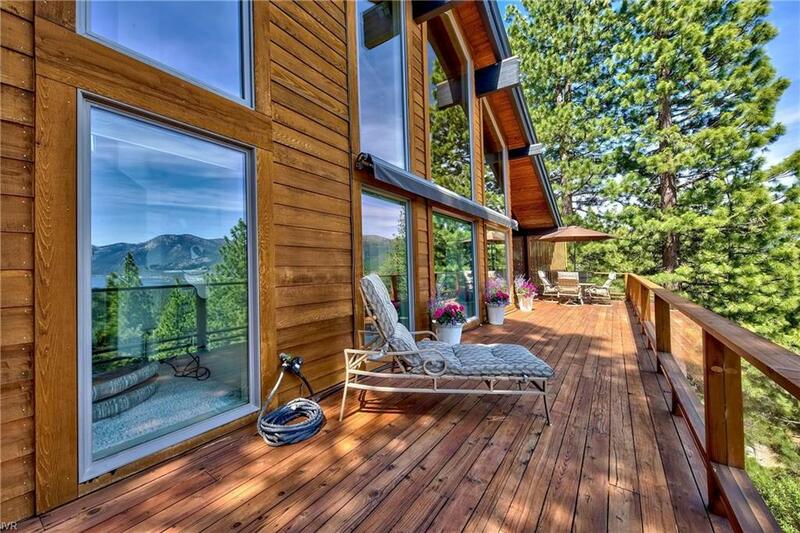 Sturdy mountain exterior and interior wow factor with contemporary flair. 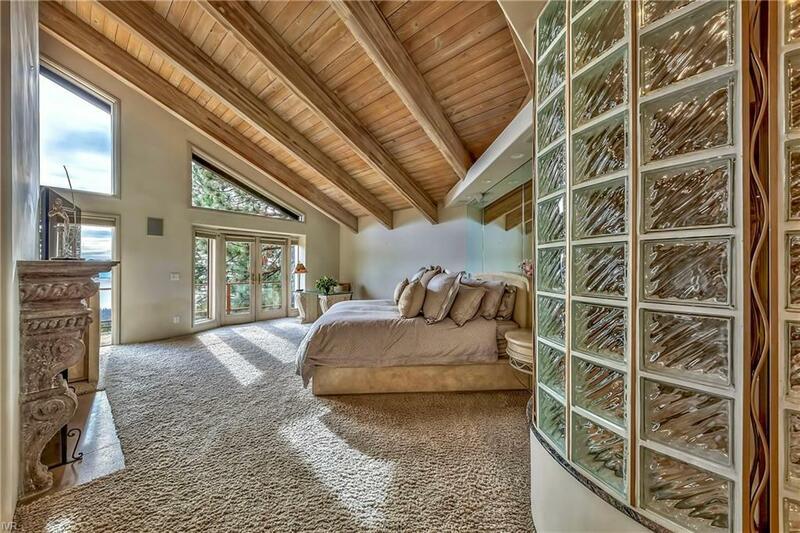 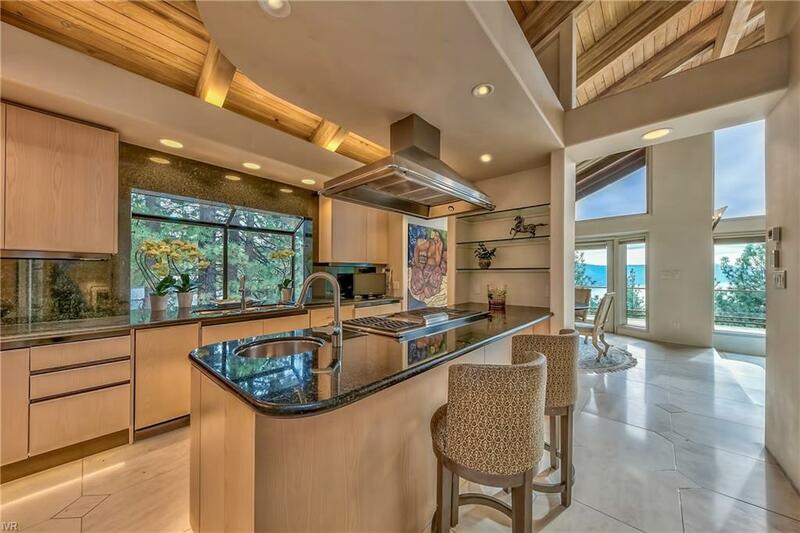 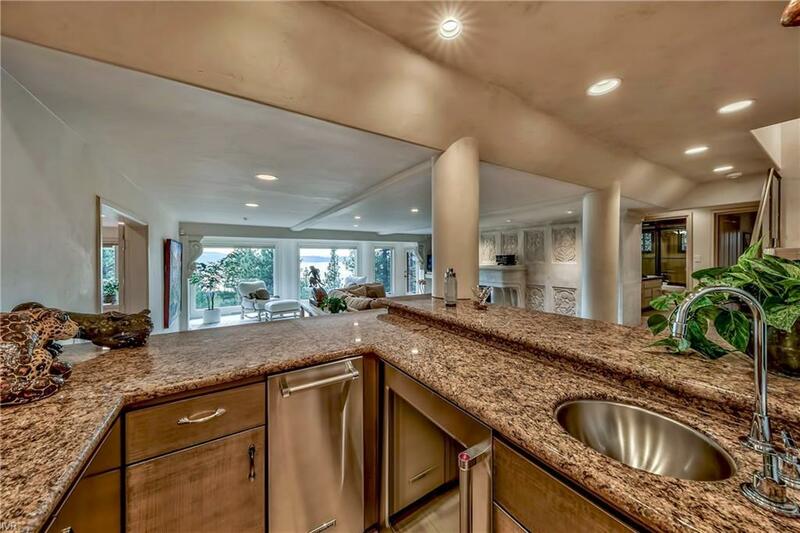 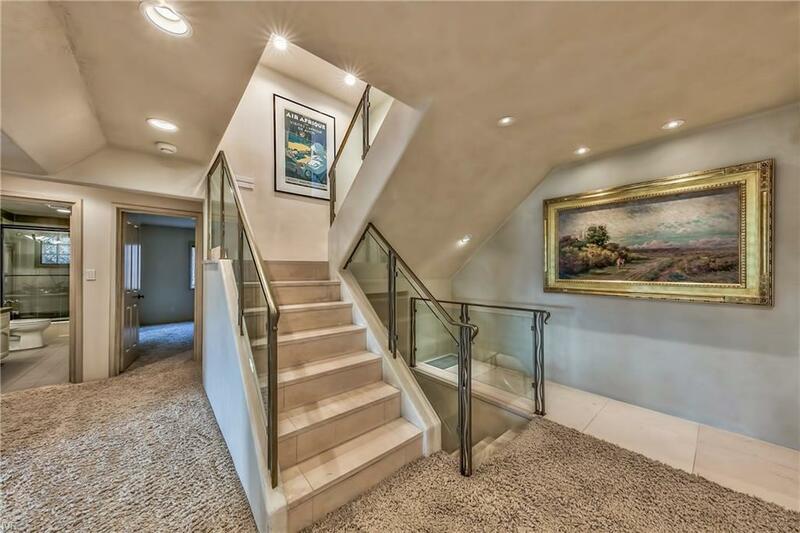 Completely remodeled offering opulent custom finishes and clean lines. 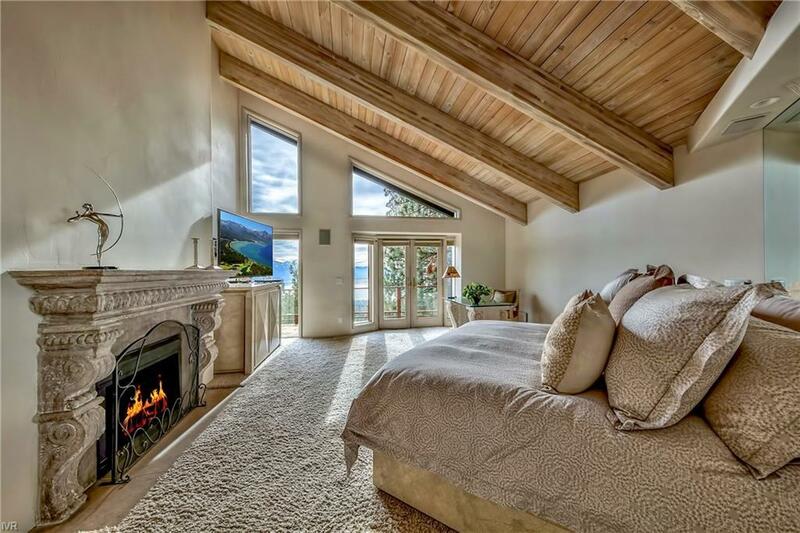 Main level living, Master & primary rooms with fantastic Southern exposure for maximum natural light and incredible endless sunsets. "Take your breath away" Lake views from most rooms & amazing upper loft to relax and uncork that special vintage. 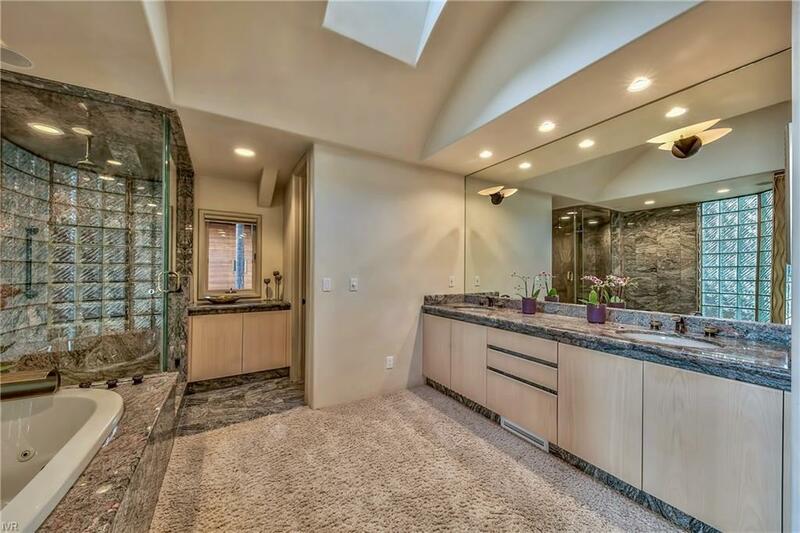 Lower level offers guest amenities and VERSATILITY with two additional bedrooms and shared bath or music/art studio/office. 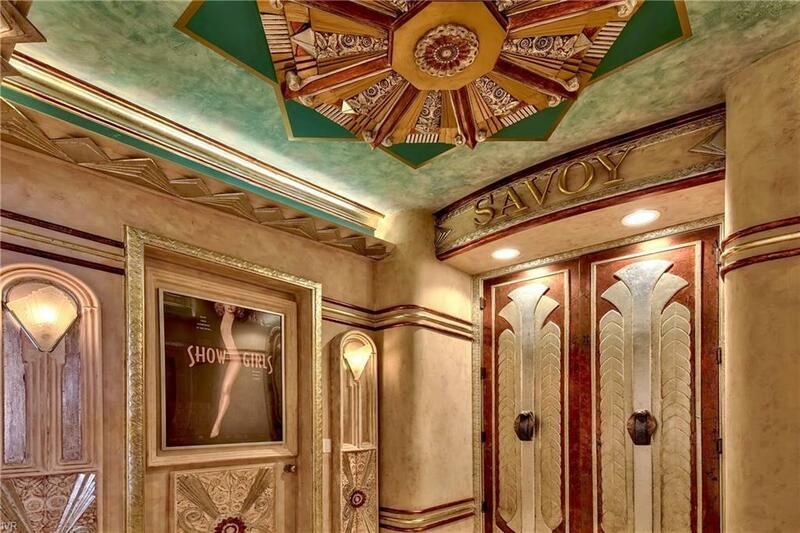 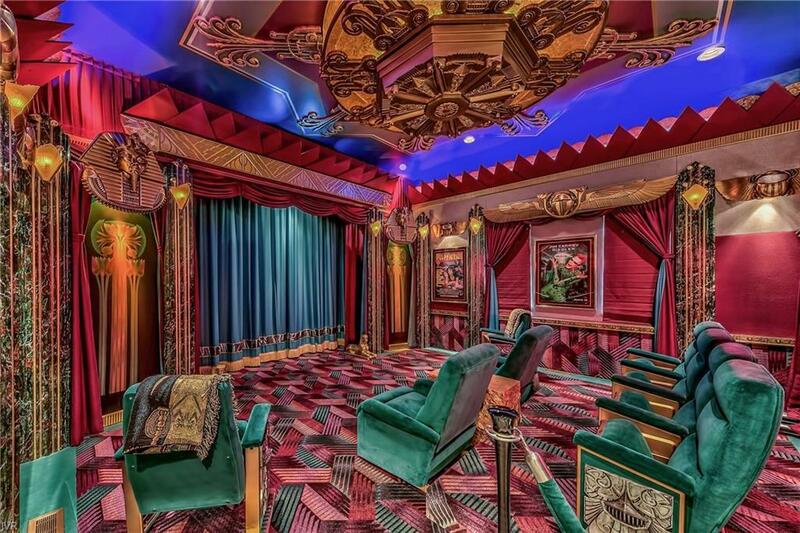 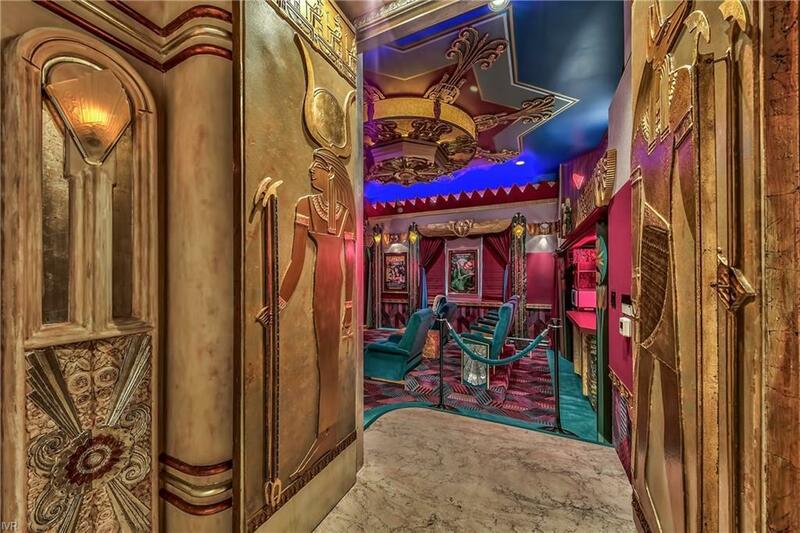 The decadent "SAVOY" Art Deco home theater is over the top and a party in itself! 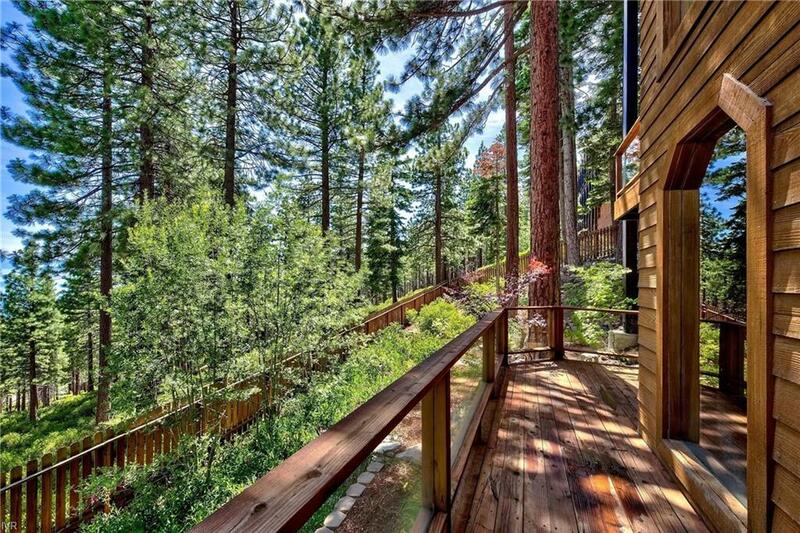 Also a sauna for chilling out. 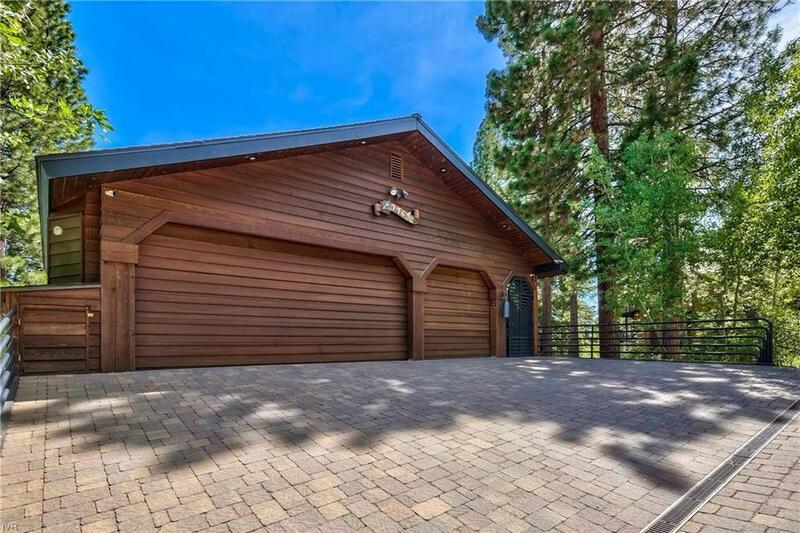 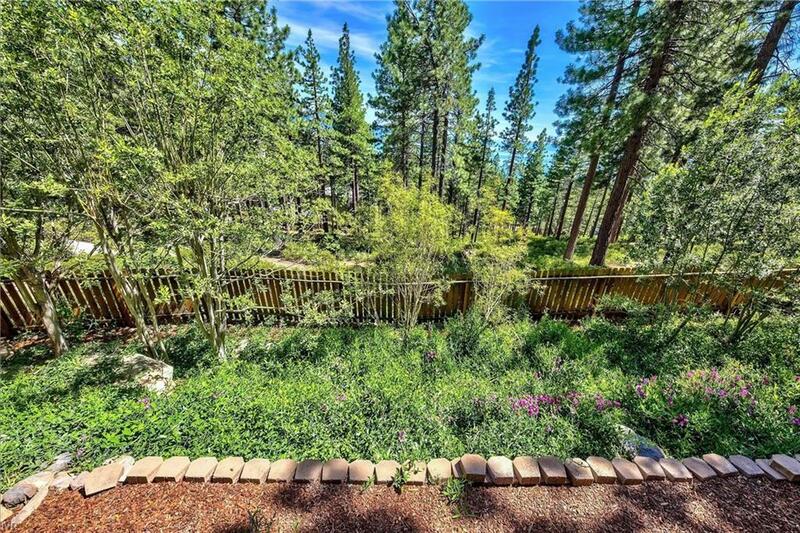 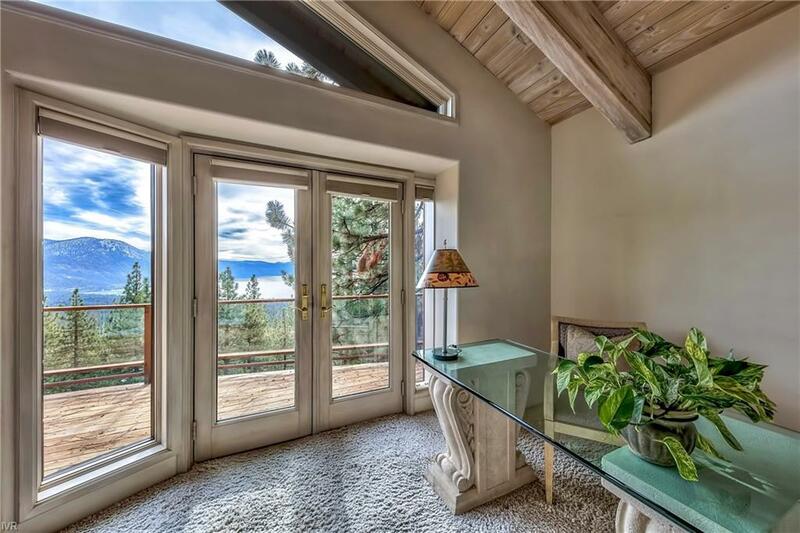 Tons of storage for Tahoe gear plus a specialized sport garage to park your Summer Porsche, Mercedes and a few motorcycles.Generous fenced gentle sloping yard perfect for pets & playtime -overlooking open space below - serenity.